Buy Xiaomi POCO F1, Trick to Buy Xiaomi Poco F1 From Flipkart Flash Sale : Xiaomi india is back with another amazing flagship smartphone Xiaomi Poco F1. The First Sale on 29th Aug 2018, 12 Noon exclusively available on Flipkart and Mi.com. As you all know that it is xiaomi’s phone, so everyone will be eager to book this phone on first sale. But you also know that everyone will be not able to buy this phones in the First Sale. Here I have brought a script to buy Xiaomi Poco F1 which will help you to easily book xiaomi Poco F1 in flipkart flash sale. 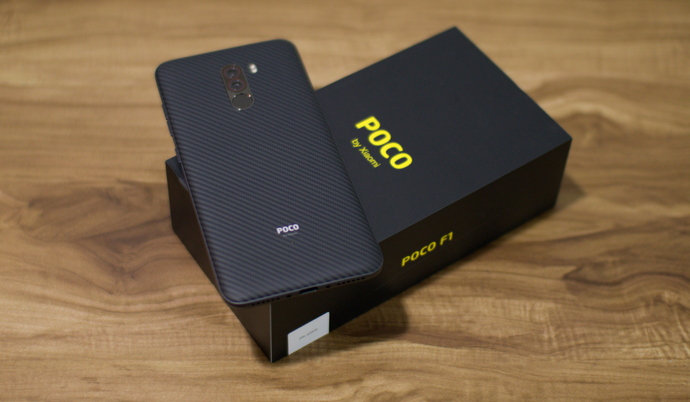 In fact, this smartphone introduced by Xiaomi’s sub-brand Poco F1 has been introduced in a fairly affordable price, which makes it the smartphone with the most affordable snapdragon 845 chipset yet. In Xiaomi’s Poko F1 6.18 inch full HD + notch display is given. Phone notch can also be turned off in settings. Qualcomm has got the latest Snapdragon 845 processor in the phone. Liquid Cool Technology has been used in the phone. Due to heavy gaming, there will be no heating problem in the phone. Adreno 630 GPU is given in the device for graphics. Talking about the camera, the phone has a dual rear camera setup, with the primary 12 megapixel sony imax 365 and 5 megapixel secondary camera. For the people of Selfie, the front has a 20-megapixel high resolution camera. First sale of POCO F1 is on 29th Aug 2018, 12 Noon exclusively on flipkart and Mi.com. We will update the next flash sale date after ending of 1st flash sale. Click here to go to flipkart official xiaomi poco f1 flash sale page. Now At the Right Time Of Flash sale , Click Here before 5 minutes of sale time of 12:00 PM On 29th august. Now on flipkart flash sale page right click on anywhere and tap on Inspect Element. A new window will open at bottom of your page. Just click on Console Tab. Copy the Script given below and paste there. Note – As i earlier told you that this is first slash sale so this script has not tested yet incase if it not works then comment down below and tell us about it. we will post another solution for it. Friends if you want to purchase POCO F1 in first flash sale then this guide about Trick To Buy Xiaomi Poco F1 From Flipkart Flash Sale is going to be very helpful for you. Please share this article on facebook to support our blog.Thank You..